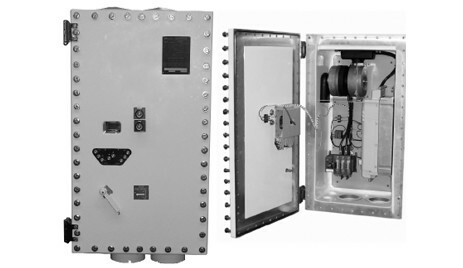 ACE Series Explosionproof Variable Frequency Drives are the only explosionproof enclosure to safely and reliably house a VFD. This revolutionary new product features a NEMA 7 enclosure with patent pending active cooling technology, allowing a traditional VFD to be housed inside the classified enclosure without the risk of overheating. Download the ACE Series Explosionproof Variable Frequency Drives spec sheet below or call 714.835.6211 for more information.